Defying new evidence, the Trump Administration reinforces its support for Saudi Arabia’s Crown Prince Mohammad bin Salman over the murder of journalist Jamal Khashoggi. I have read every piece of intelligence that’s in the possession of the United States government. And when it is done, when you complete that analysis, there’s no direct evidence linking him to the murder of Jamal Khashoggi. That is a accurate statement, it is an important statement, and it is a statement that we are making publicly today. The CIA assessment, a summary of which was leaked to the media earlier this month, did not find a direct order from the Crown Prince for the murder. 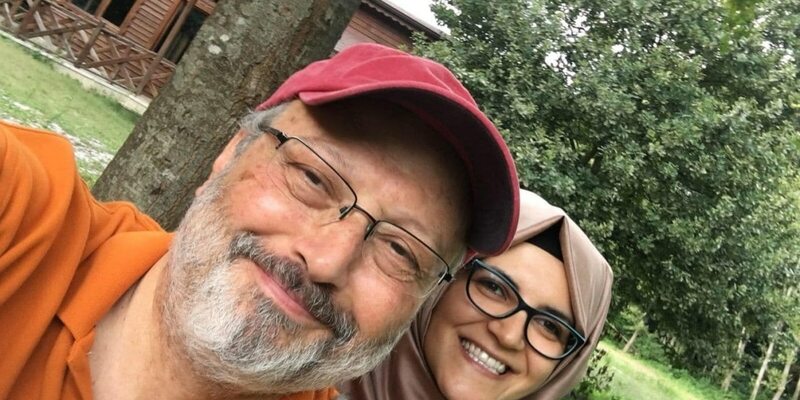 However, it concluded that he was responsibility from communications before and after the killing and from his authority over matters such as the fate of a high-profile figure such as Khashoggi. In the latest revelation from the assessment, the CIA expressed “medium-to-high confidence” that the Crown Prince “personally targeted” Khashoggi and “probably ordered his death”. But the weekend report said the assessment includes electronic communications that Mohammad bin Salman sent to his communications chief, Saud al-Qahtani, who oversaw the 15-man team that killed Khashoggi. The CIA intercepted 11 messages in the hours before and after the murder. The assessment said the content is unknown. The agency noted that the Crown Prince told associates in August 2017 that if his attempts to persuade Khashoggi to return were unsuccessful, “we could possibly lure him outside Saudi Arabia and make arrangements”. The Crown Prince communicates regularly with various senior officials within the Royal Court on different matters. At no time did HRH [His Royal Highness] correspond with any Saudi officials in any government entity on harming Jamal Khashoggi, a Saudi citizen. We continue to categorically reject any accusations based on speculations. [Saudi Arabia] are an enormous support to us. They are a relationship that has mattered for 70 years across Republican and Democrat administrations alike, and remain an important relationship. We’re aiming to keep that relationship with the Kingdom of Saudi Arabia. Mohammad bin Salman’s possible responsibility has been further highlighted by the release of Jamal Khashoggi’s text messages with his perception of the monarchy’s danger. The messages among more than 400 sent via WhatsApp to a fellow Saudi exile, Montreal-based activist Omar Abdulaziz, in the past year. Arrests are unjustified and do not serve him (logic says), but tyranny has no logic, but he loves force, oppression and needs to show them off. He is like a beast “PacMan”. Donald Trump is promising to give North Korea’s Kim Jong-un everything he desires if Pyongyang completes denuclearization, according to South Korean President Moon Jae-in. The message was that President Trump has a very friendly view of Chairman Kim and that he likes him, and so he wishes Chairman Kim would implement the rest of their agreement and that he would make what Chairman Kim wants come true. Trump and Kim met in Singapore in June, with the two men signing a document generally committing to complete denuclearization of the Korean Peninsula. But US intelligence agencies say that, while North Korea has not resumed missile testing, it has not slowed its nuclear program. Trump has agreed to meet Kim again, but no exact date has been set. BREAKING: Trump says that next meeting with NKorea's Kim likely to be in January or February and that 3 sites are being considered.